Embattled SARS Commissioner Tom Moyane is suing the Mail & Guardian as well as the amaBhungane Centre for Investigative Journalism for defamation after they published reports accusing Moyane of seizing control of a key revenue-generating division that forms part of the current restructuring of the service. The legal action summons memories of similar punitive court actions by the apartheid state against small independent media outlets viewed as hostile. By MARIANNE THAMM. Monyane and SARS Chief Officer, Jonas Makwakwa, both in their personal capacities and as part of the SARS executive, are suing the M&G and amaBhungane for R4 million in damages “for severe reputational damage”. The revenue service itself is listed as the third applicant in the matter. Moyane and Makwakwa are seeking damages of one million rand apiece, with Sars seeking two million. It is unclear at present whether Moyane and Makwakwa are utilising SARS resources for the court action in their personal capacities. Daily Maverick has asked SARS for clarity but had not yet received a reply at the time of writing. In 2015 Moyane and SARS sued former spokesperson Adrian Lackay for R12 million in damages for a submission he made to two parliamentary portfolio committees regarding the truth about the SARS “rogue unit” as well as that British American Tobacco, the State Security Agency and others might have violated the law and were engaged in illegal activities. SARS is suing Lackay for apparently publishing secret taxpayer’s information. He is defending the action and hopes to enrol the matter before May this year. 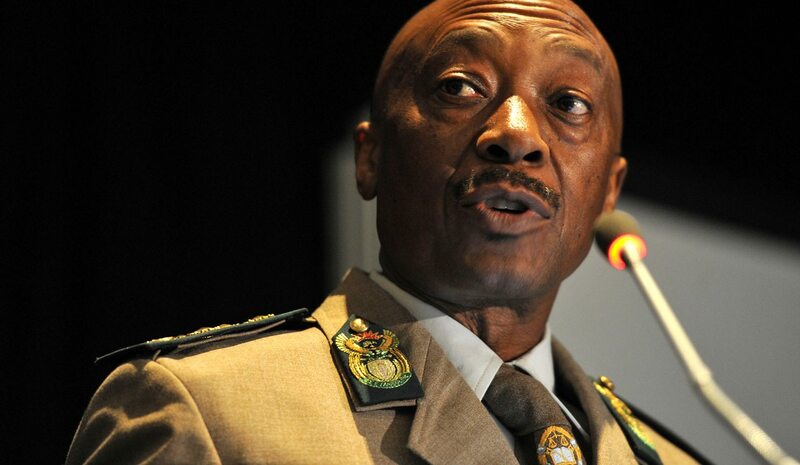 In papers filed at the Johannesburg High Court on Friday, Moyane is listed as the first applicant with Makwakwa as second and SARS as the third. The Mail and Guardian, and journalists Craig McKune and Sam Sole of amaBhungane, are listed as first, second and third defendants. The feature, published in February, revealed that Sars insiders had accused a group close to Moyane of seizing control of the Large Business Centre (LBC) a key revenue-generating division that deals with large corporations and wealthy individuals. This, the M&G and amaBhungane reported, had been an attempt by Moyane’s “new guard” to give themselves undue influence over settlement negotiations running into billions of rands. Moyane’s critics also claimed the restructuring at Sars had destabilised the service and had undermined its ability to meet revenue targets in a tough economic climate. It cited a former senior official dismissing these views as “implausible” – but it contained no response from Moyane or Sars because the service failed to respond to detailed allegations, despite having almost a week to do so. Moyane is also seeking a court order declaring that the article violated the secrecy provisions of the Tax Administration Act by disclosing interactions between Sars and three taxpayers, Taiwanese-South African businessman Robert Huang, Durban businessperson Shawn Mpisane and multinational financial services group Old Mutual. Sole told the Daily Maverick that amaBhungane might be facing civil as well as criminal action with the potential excuse that the investigative unit had “violated the Income Tax Act” by revealing the tax matters of these individuals. “From our correspondence it certainly seems as if we might face criminal charges. We will be arguing that these provisions [in the Income Tax Act] are probably unconstitutional in a modern democracy and should be challenged,” said Sole. The M&G’s legal team will file a notice of intention to defend the action. In response to an earlier demand by Sars for an apology and retraction, M&G lawyer Dario Milo said the article was “clearly in the public interest and its publication was lawful”. Commissioner Moyane and Finance Minister Pravin Gordhan are currently facing a standoff as Gordhan has requested Moyane to halt his extensive restructuring of SARS. Moyane has refused and Gordhan has reportedly said Moyane had to go. The court action for defamation against amaBhunghane and the M&G is reminiscent of apartheid-era tactics aimed at financially crippling independent media organisations through costly and convoluted court battles. The Vrye Weekblad, an independent publication founded by Max du Preez exposed several scandals involving the regime, including how death squads operated at Vlakplaas. The paper was forced to shut shop after a defamation action by General Lothar Neethling, who had been implicated in the kidnaping and killing of anti-apartheid activists.